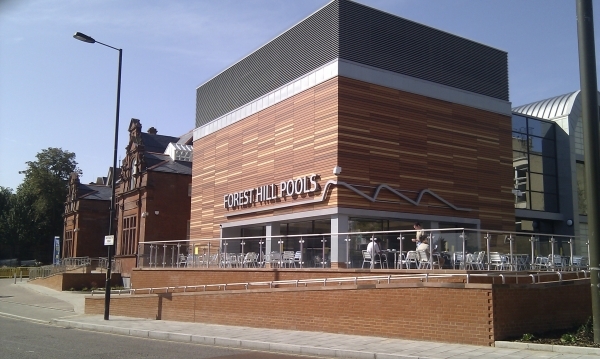 Forest Hill Society: Let There Be Light — in the Horniman! 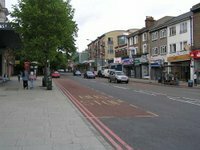 By Michael Abrahams (Chair, Forest Hill Society). Michael reports on a public consultation meeting that was hosted by the Horniman Museum in August regarding the redevelopment of two of its main galleries. When the Horniman Museum was first opened to the public in 1901, its roof had large windows to let daylight flood into its galleries. Unfortunately, all of this direct sunlight eventually damaged many exhibits and it was not until the early 1980s that a decision was taken to permanently cover over the windows. Since then the South Gallery (which today contains African Worlds exhibits) has been one of the darker areas of the museum with no natural light. The Centenary Gallery — containing the torture chair, merman and lots of puppets — is even darker. This area used to be a lecture room, with plenty of light coming in from the windows, but as it became a gallery all light was blocked out to protect the exhibits. However, the Horniman Museum now plans to reintroduce natural light into these galleries in order to improve the general quality of the interior spaces, and to especially encourage more people to visit the exhibits on display in the South Gallery. 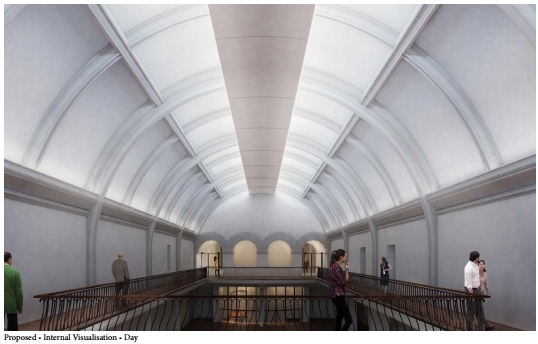 The plan for the South Gallery is to install a daylight reflector below its roof light to deflect daylight onto the gallery’s barrel-vaulted ceiling and, therefore, prevent sunlight from directly hitting any displays. This would be augmented with electric lighting to enhance the visitors’ feeling of light and space, but without subjecting the exhibits to too much of the degrading effects of UV light. The architectural design work for these improvements has been carried out by Rick Mather Architects, who have previously brought new life to Greenwich Maritime Museum and Dulwich Picture Gallery through their design expertise with exhibition spaces and in enhancing the use of listed buildings. The South Gallery would be curated to include more of its objects from its internationally renowned Anthropology collection alongside many of the items currently on display in the Centenary Gallery. It would also include more interactive exhibits as well as places to sit to contemplate the collection. Meanwhile, the Centenary Gallery would be transformed into a studio space — part exhibition space, part interactive design space — in which artists and community members would create new, temporary exhibits. Sadly, all of this work will involve the closure of these two areas of the museum for a period of 18 months, if funding is secured. The Horniman is currently finalising their Stage 2 bid to the Heritage Lottery Fund (having already received some initial funding) — to be submitted in December — and a decision is expected to be reached by March 2016. If successful, the museum would then plan to close the two affected galleries from September 2016 until March 2018. This seems like a great scheme to bring further improvements to our wonderful local museum, and we wish the Horniman Museum every success in this project. For more info, visit www.horniman.ac.uk.